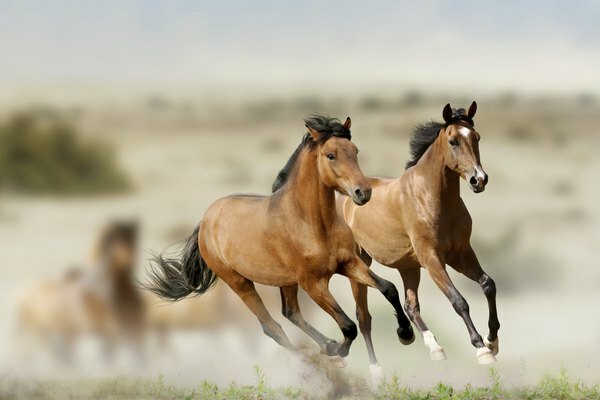 The horse has a life cycle that can be broken down into four very distinct phases. After conception and birth, the horse evolves into adolescence, adulthood and finally old age. Mares, or female horses, typically experience seasonal estrous cycles, going into heat in late spring or early summer. If breeding is successful, the mare carries her baby for about 11 months, or an average of 335 days. The foal develops a heartbeat around day 23. After about 150 days of pregnancy, the placenta is fully formed around the baby. 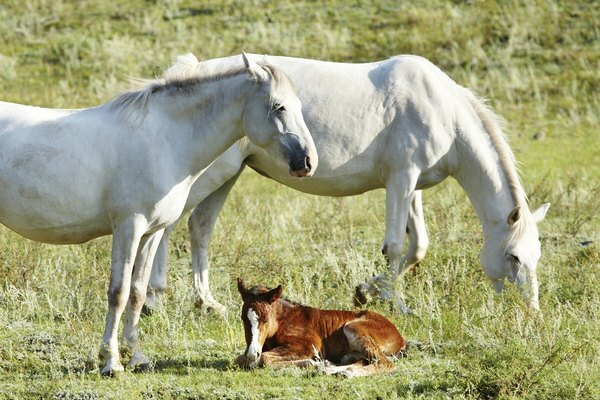 A mare spends about an hour in labor, on average, then lies down to deliver the foal. The foal begins to stand and walk within minutes of birth. 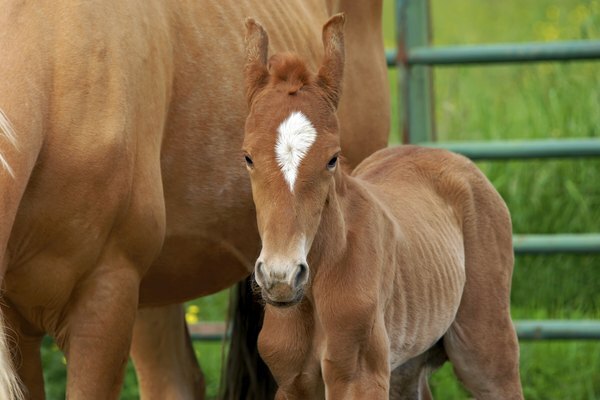 Horses are born after a gestation period of 11 months, and for the next year are called foals. In the first year, horses grow rapidly and will reach 90 percent of their adult height and 80 percent of their adult weight. 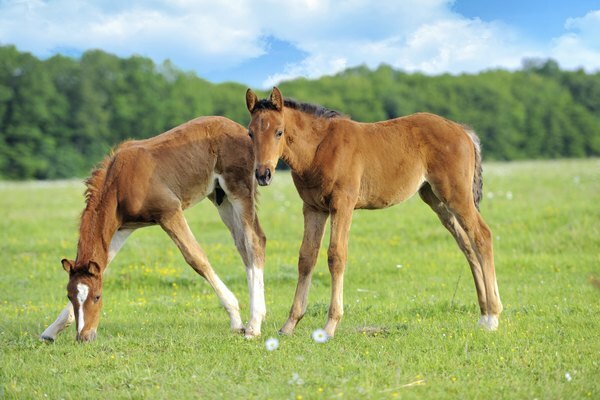 Male foals are called colts, and females are called fillies. The yearling has almost grown into its long legs, and its body frame has filled out. With each growth spurt, its hind is often 2 to 3 inches taller than its withers (the upward-curved part right below the neck). 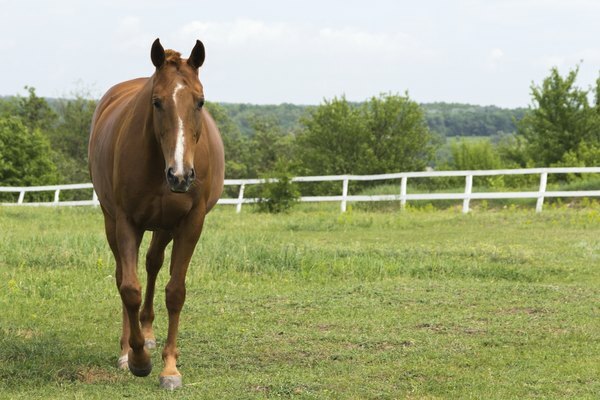 Most 2-year-old horses have reached their adult height and weight. 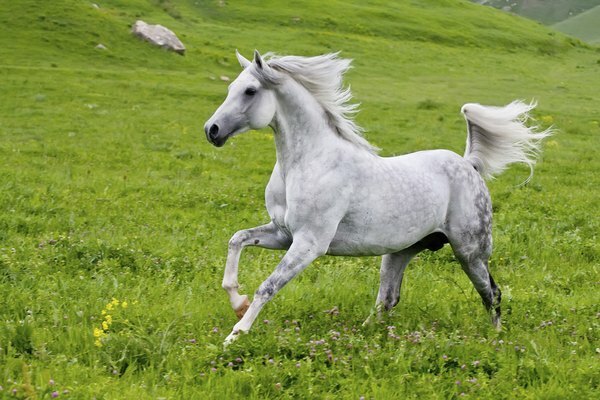 In most cases, growth plates -- epiphyses -- located in the bones of the legs have closed and the horse can now be ridden. A horse finally reached adulthood at the age of 4. Females are now referred to as mares, and males as stallions if they can still breed or geldings if they've been castrated. 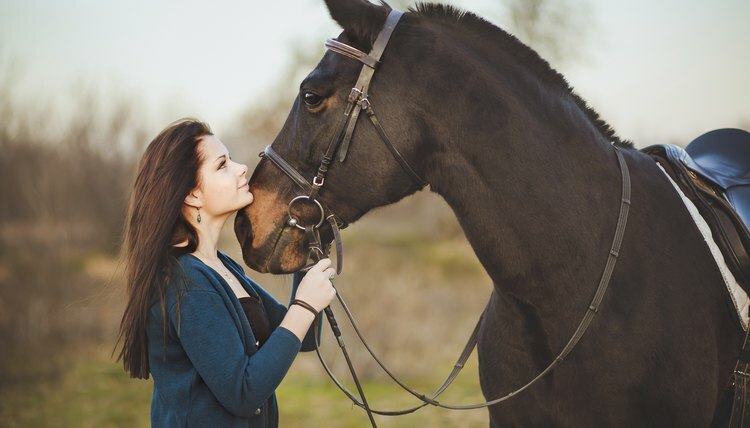 By their late teens or early 20s, horses begin to show the signs of aging. Their backs begin to sag, and many develop age-related disorders such as kidney and liver disease. In the wild, these conditions contribute to rapid deterioration and death, but with proper care, horses can live into their mid 30s. How Big Do “Teacup” Piglets Get? What Is the Temperament of a Jack Stallion Donkey?